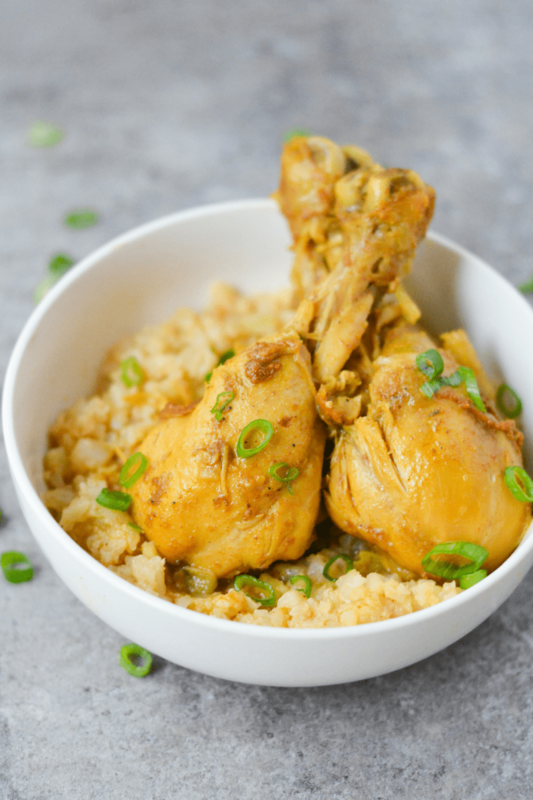 This Low Carb Jamaican Curry Chicken is a healthy meal full of Caribbean flavor! Don’t forget to serve it up with some cauliflower rice! 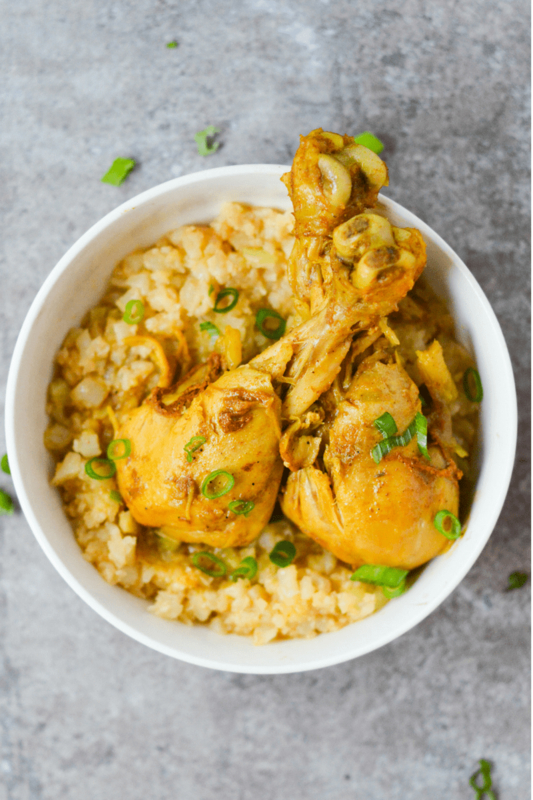 Having a Jamaican husband, it was pretty much essential for me to develop a love for spicy foods quickly after we got married. This wasn’t a huge problem for me at all, especially because I quickly fell in love with the cuisine and wanted to learn as much as I could about how to cook it myself. 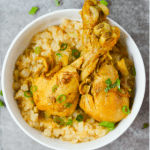 One of the meals that my husband grew up eating is his mom’s famous Jamaican Curry Chicken. It is…SO GOOD. I’ve even had it in goat form and surprisingly loved it. This weekend my in-laws came to visit and see the new baby, and the visit absolutely had to include this very special dinner! Funny side note: my husband was brought up so heavily on this stuff, he thought I was joking when I asked him about Indian curry. He had no idea what I was talking about! Anyway, this recipe is ridiculously delicious, spicy, super easy and as I just discovered today, curry powder is very low carb! To make it a meal, I would absolutely recommend pairing the chicken up with cauliflower rice and cabbage! Where do get the Jamaican spice? Can you do this with boneless chicken? I’m on a keto diet that requires boneless. Instead of the water I added 1 can of coconut milk and it was delish. Made this for me and the hubby tonight, it was delicious. The hubby loved it! Definite keeper in our house.